Our seasonal menus offer traditional pub favourites, modern dishes and delectable desserts. Dine in the bar or in our restaurant with a special menu for the kids. 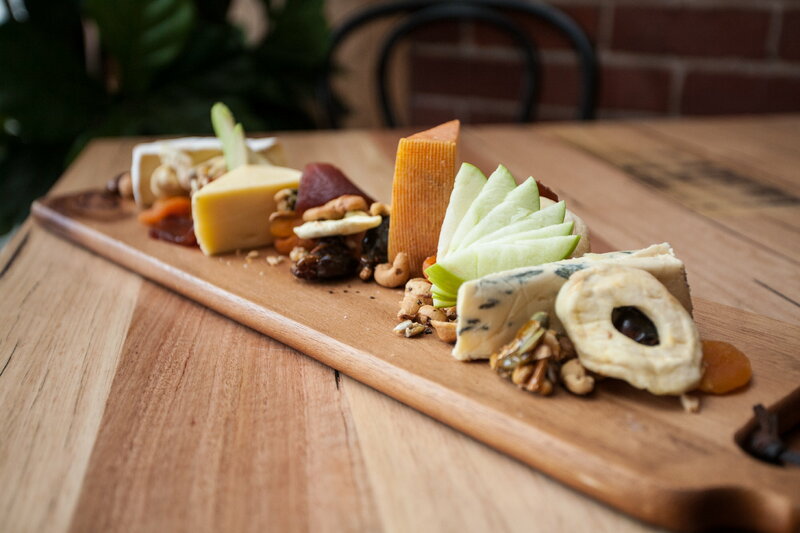 We also offer share plates and cheese boards in our rooftop terrace spaces. We’re open for lunch and dinner seven days a week. We also offer an express lunch. Download the lunch pre-order form below. To make a booking call (03) 5222 2471 or email info@thetelegraphhotel.com.au. Whether you want wine matched to your meal or just a casual beer, we have an extensive drinks list featuring an excellent range of local and international wines, tap and craft beers, ciders, cocktails, hot beverages and more. Check our full drinks list below.